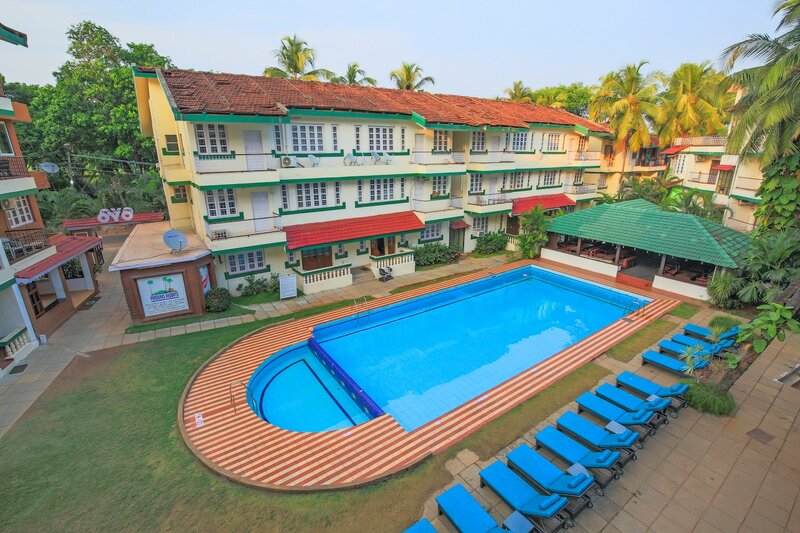 Prazeres Resort Candolim is a beautiful hotel which has sunny and comfortable rooms overlooking the swimming pool. The property is located at Candolim beach that is known to be one of the most happening beached in Goa. The property is close to Sinquerim Beach and St. Sebastian Chapel. The resort features modern exteriors and bright interiors. The rooms inside are airy and have attached balconies that offer view to the big swimming pool. The balconies also flaunt full wall glass doors that ensure the room always looks lit up and bright. All the rooms at Prazeres Resort Candolim offers free Wi-Fi, AC, power backup, TV, geyser, in-house restaurant, card payment, bar, CCTV cameras and dining area. Some restaurants in the vicinity of the hotel are Calamari Bathe & Binge, Turkish kebab, Rosies sunset shack and Foodland Multi Cuisine.